Cask Ale Week: what's everyone up to? Cask Ale Week 2016 has been in full swing this week, as pubs and brewers across the country have gone all out for this year's celebration of Britain's national drink. Cask Ale Week: Are the big brands still relevant? There's a baffling array of beers on the bar in front of you. Behind that a multitude of funky canned beers in the fridge, flanked by a host of quirky bottled ales, so what do you order? A pint of Greene King IPA? A Spitfire or a London Pride? A Pedigree or a Landlord - would you really? Inapub and Cask Marque have joined forces to launch a new CaskFinder app, with pumpclip recognition. This week Cask Marque unveiled its 10th annual look into the state of the cask ale market in UK pubs, the Cask Report. This year written by beer sommelier and writer, Sophie Atherton, the report established that the category is now worth £1.7 billion a year and accounts for 58 per cent of on-trade ale sales and Atherton was keen to point how much the scene had change in a decade of the report. It's based on a popular Mexican street drink and served with lemon & salt but there's not a drop of tequila in sight. What's so important about hops? 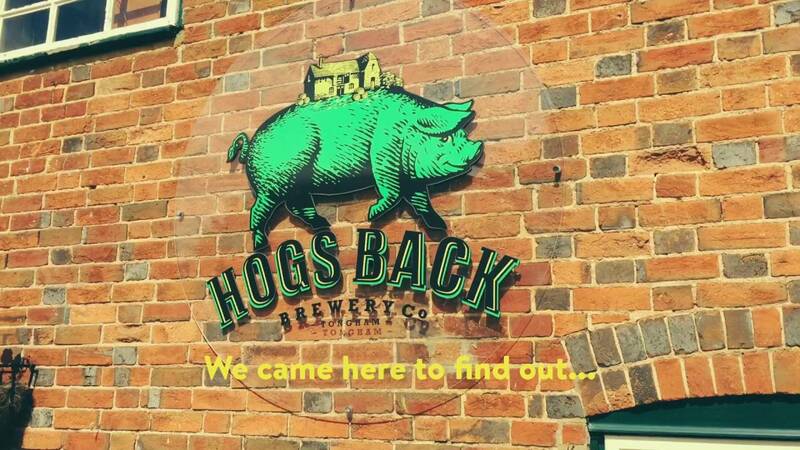 The team at Hogs Back brewery in Surrey explains. Eight of the UK's biggest wine and spirits industry have joined forces to make a stand against the biased debate in the UK around drinking. How can a tactical paint job help your customers stay longer and spend more? From Pete Postlethwaite's Preposterous Posthumous Pizza Party to Quizzy McQuizFace, here's our rundown of the most legendary quiz teams that ever put pen to paper in Britain's pubs. Bourbon fans are awaiting the roll-out of a new Maker's Mark variant.